Seacoach - Just Cruises, Inc.
With the airlines becoming an increasing hassle, we are pleased to announce SeaCoach cruises. 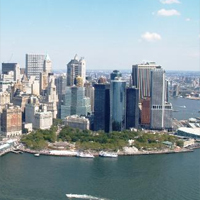 We have secured deluxe motorcoach transportation from Rochester, NY to the ship and back. This is the perfect opportunity to sit back and relax while you are driven from your home city to your cruise port in comfort. You simply park your car at the pick up point and board the bus with your luggage to start your vacation. Retrace history's stepping stones along quiant, cobblestone streets. A distinctive history and natural beauty gives the region an alluring appeal. There's no better time to visit than the fall. The foliage is brilliant in every imaginable color, lighthouses dot the coastline, and there's always an authentic lobster bake to be savored! *Rates are per person, based on double occupancy. Ask about 3rd, 4th guest pricing. Roundtrip Motorcoach is based on a minimum of 30 passengers. Subject to availability. Enjoy the enchanting island of Bermuda with its pastel painted houses, brilliantly colorful gardens, cricket matches & pink-sand beaches. Stroll through the shops and museums of the Royal Naval Dockyard. Find quaint gems at the Bermuda Arts Center and Craft Market. 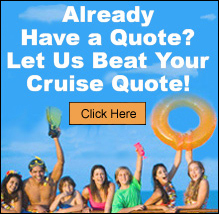 *Rates are per person, based on double occupancy and include bus transfer, cruise, port charges, and all taxes/fees. Call for rates on 3rd, 4th guests. Triple and Quad occupancy cabins are subject to availability at time of booking. Roundtrip Motorcoach is based on a minimum of 30 passengers. Subject to availability. There's nothing like a quick getaway in the sun. On a cruise to the Bahamas, you’ll find a sun-splashed seascape of 700 islands and 2,000 cays offering idyllic tropical getaways for sailing, snorkeling, fishing, strolling pearly pink-sand beaches, and swimming crystalline turquoise seas. Many airlines now charge for checked luggage, the majority at $25 for the first bag and up to $100 for the 2nd bag. By traveling SeaCoach, you can bring as much luggage as you like without an additional fee and there are no screening lines or lost luggage. The time study indicates the bus is approximately 1 hour longer than flying to the cruise. It is recommended you arrive at the airport at least 90 minutes prior to your flight and add to that the time to park your car and take the shuttle bus to the terminal. The flight is 1+ hours to NY or NJ. After you deplane the aircraft, you still have to wait for the luggage to be sent to the carousels in baggage claim so add at least 1/2 hour. Finding the transfer buses or taxi to take you to the pier is an additional hour at minimum. All in all, a long and stressful start to your vacation. Considering driving to NY or NJ? Have you seen the price of gas? With the distance at approximately 350 miles, you would spend at least $90-$120 each direction. The parking at the port ranges from $35-$45 per day. Add to that the tolls which are frequent on that route and you have now spent more that the cost of the SeaCoach with much less comfort. Experience the door-to-door service of SeaCoach, no dragging luggage down long airport corridors, no waiting in long security screening lines. Experience less stress and arrive at your vacation and back home rested and relaxed. *Rates are per person based on double occupancy and include bus transfer, cruise, port charges, and all taxes/fees. A Minimum of 30 Passengers Required for our SeaCoach Groups.